There’s nothing I love more than to create a pretty vignette on my coffee table. It’s one of the places in my home that can change almost weekly. Our coffee table has so many functions. It’s doubles as a dining table, a footstool or even that place to sit our coffee! We use it everyday in one form or another. Coffee tables need to function, so don’t overly clutter it or you’ll be forever pushing things to the side or onto the floor. Which isn’t ideal, especially when you’re using it as a place to eat your dinner or somewhere to sit your snacks during that Netflix and chill binge! So, where do you begin? Well for me it all starts with a tray, it’s easier to create and group things together. One similar to mine can be found Here , Next I’ll add a small stack of books two or three is enough. You’ll want to add height too and I’ll achieve this from my fresh flowers, which are always displayed in a pretty vase. If your local to perth find the prettiest flowers Here . These can either be sat on top of your books or to the side. Next I like to add decorative quirky pieces this could be anything but for me, I used my brass crab Here or mermaid Here, they are always a talking point. Candles are another good coffee table accessory. They don’t only smell amazing they can look good too. Remember to keep everything to scale no point adding a massive tray and then sticking a little posy jar or candle on it, try and coordinate your colour palette too. Add things you love or have collected while travelling maybe a piece of coral you picked up or a temple jar from Morocco. Although I’ve never travelled there, I do love a good temple jar but mine, well, they were very conveniently collected from stores around Australia! Insert wink emoji! Temple jars can be found Here . There are no limits to what you can display, play around with it. Don’t be afraid to move things around, you want it to look good, after all it’s the focal point of the room. 1. A tray, it helps group things together and create a vignette. 2. Books, use two or three stacked together. 3. Something organic, so fresh flowers or a plant. 4. A decorative object or two, add a temple jar, coral, candle sticks or vase of shells. 5. Something quirky, anything unique to your personal style, I use my crab. 6. Candle, there’s so many to choose. Don’t forget to had some height, texture and most of all make it personal to you. Have fun and use #theinteriorobsessed on Instagram to share your coffee table styling with other creative home decor accounts. Do you ever find yourself looking through Pinterest, Instagram and those glossy magazines with their beautiful curated pages of interiors wishing you could create that look in your own home without breaking the bank? Well, I do… on a daily basis! I hate when I have been lusting over a beautiful piece of furniture or a gorgeous piece of art, only to find out they’re only available on a different continent – where the postage charge alone equates to that of my monthly pay packet! Say what!? My mind then starts ticking over as I challenge myself to find and create the look for less. A girl must have it, right? I’m not going to lie, my home is filled with both high and low-end pieces. I have no shame when it comes to integrating second hand pieces either. As the saying goes, one man’s junk is another man’s treasure! Come on, tell me who doesn’t love to hunt through thrift shops or even scroll on gumtree. I do, I love it! Recently, I found 8 Chinese Chippendale chairs on Gumtree for just $400 – that’s less than the price of one brand new! Don’t get me wrong, our old dining room chairs were perfectly fine, but let me tell you, when I came across the Chinese Chippendale chairs my heart skipped a beat. The search took me almost two and a half years! They weren’t the white I was after but mahogany with ugly red fabric. I purchased them with the intention to paint and reupholster them. Even after opting to have them painted and reupholstered professionally, I still saved over $2000! However, before you go leaping into buying everything you see at a bargain price, stop, sit down and think about what look you’re going for. Here’s a few tips. First ask yourself – What is my style? Are you Hampton’s Coastal or Farmhouse, Scandi or Industrial? It is best just to stick to one style, no matter how much some aspects of the other styles appeal to you. Unless you’re a wiz at putting it together, you may find it difficult to make them work. It is not to say that you can’t mix styles, you so can, but it’s an art that can be hard to pull off successfully. So, let’s get to the point. My best advice is, create a mood board and cut, pin or save all the pieces you love. Mood board constructed – only then begin your search to bring it to life. Be patient, it can take time. Items bought over time look more considered and less contrived. Only buy items you really love. Search thrift shops, FB marketplace, Etsy stores or Instagram sellers who sell vintage finds. Join your local buy nothing page. There are always people giving things away for free! I’ve had a coffee table, books and a beautiful blue lantern donated to me. (I also use this platform to pass on my own unwanted items too.) Enter competitions – I’ve entered such on Instagram and was the lucky winner of a stunning blue and white quilt. 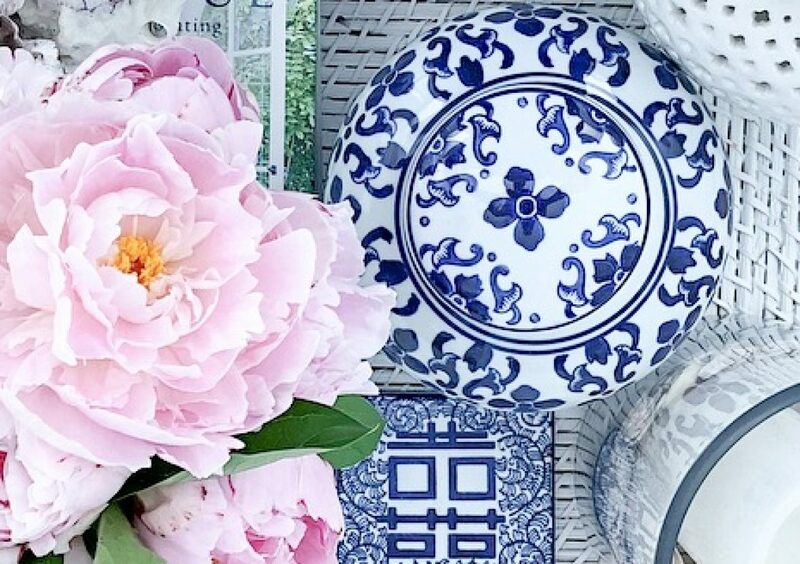 If you’re loving the Hamptons look, watch out for blue and white vases or ginger jars and little brass trinkets; they’re always timeless and can be used to create beautiful vignettes. Display supermarket flowers in a jug, fill a simple glass vase with shells gathered from the beach which can be displayed on a stack of books bought second hand. Shop online to find the cheapest deals. Shop sales! Refuse to pay full price for anything. I’ve always shopped sales, even if it means waiting! Ask yourself, why pay full price? Armed with these tips and tricks anyone can have the style they want. It just takes time and a little happy bargain hunting! I’ve taken a leap of faith and jumped into the world of blogging. I have no idea what I’m doing and I feel a little out my depth. Well, drowning actually! Someone throw me a line! I so hope you all will stick around while I work it all out. You may be wondering what brought me here. Well, I have an Instagram account where, like most home decor and interior lovers, I share my passion in the hope it inspires others. My following isn’t huge, however I’ve slowly gained a few thousand followers in just over two years! You see, we rent our home as my husband is Military – which means we move every few years. With each move there are challenges. Will furniture fit? Will it arrive in one piece? Is the new house small or large? Old or new? Can I hang pictures and put holes in the wall, paint or even hang curtains? 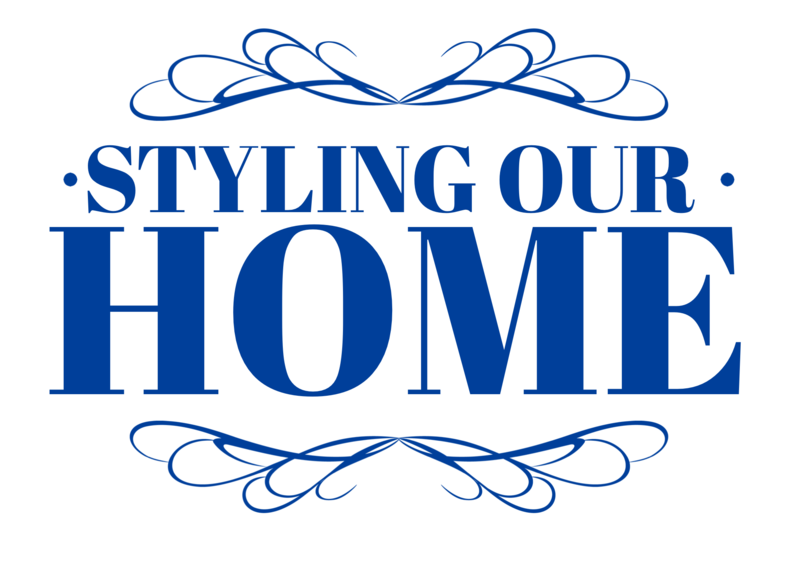 All these things can hinder the desire to make a beautiful warm and inviting home! Moving to new areas can be daunting. I have well tested ways of making all the packing, moving and relocating a little less stress free too. So, I am going to share my tips and tricks on how I’ve achieved my coastal home right here in Perth, Western Australia. I hope you’ll find it helpful.